Many aquarist often wonder how to raise the pH level in a fish tank. Balancing pH levels of aquarium water is essential. Do this right and you can create the ideal environment for your fish. Do it wrong and you could end up with nothing but belly-ups. In this article you will learn about the appropriate pH levels for each type of fish tank, the causes and effects of unbalanced pH levels and how to test for and rectify any issues that you may encounter. What do pH readings mean? Why are pH levels important in your fish tank? What can cause a low or high pH in a fish tank? What pH is correct for your fish tank? What can you do to rebalance your fish tank pH? A pH is the measurement system that we use to distinguish the levels of acid or alkaline in water. It is not just the pH levels of your fish tank that needs to be tested. In other every day activities that involve water, you might be surprised to discover that rigorous pH testing takes place. This includes the water that we drink and the water in our swimming pools or local fitness centers. 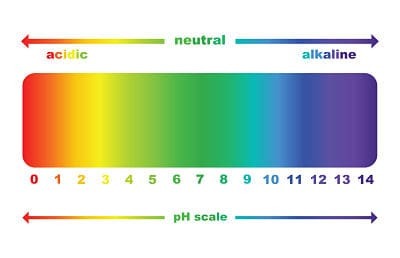 On a pH test, acidic water will turn the test yellow or red, water with alkaline in it will turn blue or purple and aquarium water that is neutral will turn the test green. Different species of fish like different water conditions and will live longer if it is correct, so if you don’t want to be visiting the pet shop every weekend then you need to pay due care and attention. It is valuable to do your research prior to setting up your fish tank or before introducing new specimens to the delicate ecosystem of your aquarium. Learn which fish can exist in your existing tank and adjust your maintenance schedule to ensure that the water is in the prime condition for them. Failure to do this could result in high levels of fish fatality. 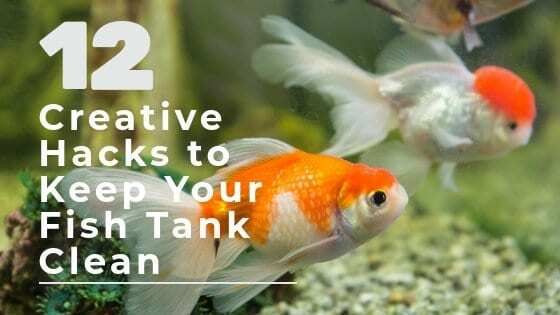 Poorly maintained tanks can not only be a hazard to your fish, but they can be a threat to other members of your household too including yourself and family pets that may come into contact with the water. Highly acidic or alkaline concentrated water can be poisonous. This can result in prime conditions for the easy spread of contamination, disease and could even result in the death of your fishy friends. Each specimen of fish has its preferences, so you need to make sure that you know what these are in order to maintain a successful fish tank. There are many attributes that can result in your aquarium becoming unbalanced. Water in an aquarium can become unbalanced and more acidic due to a pH lowering process called the Nitrogen Cycle. This is when bacteria in the water eats fish excrement and waste so that the tank is kept clean. Using tap water can result in your tank becoming unbalanced because of the chemicals used to treat it. This could mean that your tank is mildly acidic or alkaline. Having tannins in your tank can result in poor pH readings. Tannic acid can get into your tank from certain types of aquarium equipment or decorations such as drift wood and plant materials. The pH of your fish tank should vary depending on what type of fish live in your aquarium. In order to discover what condition your water is in, you will have to complete regular pH testing. From the results of this, you can then take action to adapt your aquarium to the needs of your fish or plants. To test the water of your tank, you will have to get your hands on a pH testing kit. Each kit will require a small sample of your water and include a pH indication solution as well as a chart so you can easily see what level your tank is. There are now both manual pH tests, such as pH test strips, available and digital pH checkers that you can opt for depending on what you are looking for. Both are effective methods of determining the pH levels of your aquarium. PH testing kits are very commonly used amongst fish enthusiasts, so you shouldn’t have any problems in finding a good brand to test your tank. From the results of your test, you can uncover how you need to treat your tank water to create the optimum conditions for your fish to live happily. 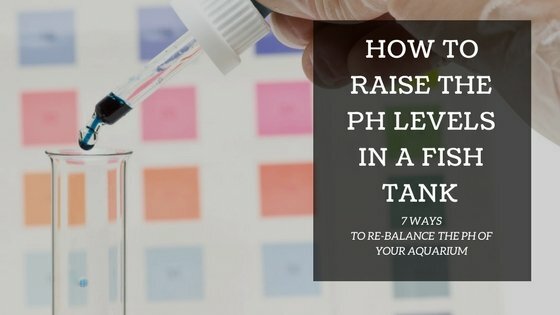 There are several methods that you can try to reduce or increase the level of pH in your aquarium, some you may have heard of before. The method that you choose simply depends on the current condition of your water and the desired pH for your fish. To help you to in finding the best method for rebalancing the water in your fish tank, we have put together these five methods for reducing or increasing the pH of your aquarium and upkeeping a healthy pH. Note: Some pH adjustment methods will require you to remove all existing fish from your aquarium so that they are not negatively impacted by a sharp change in the waters acid / alkaline levels. Please proceed with caution if you are making pH adjustments to a tank that is already in use. As baking soda is pH 8.4, this method will not allow you to raise the pH of your water beyond this. Adding baking soda will help to balance your water if the pH is under 7.2. The amount of baking soda that you need to add will depend also depend on the size of your tank so make sure that you choose the right amount to avoid saturating your water. One tea spoon per five gallons is considered safe for small pH adjustments. A method often used for increasing / decreasing water pH in your aquarium is changing how you are aerating the water. The more you aerate your water the more carbon dioxide is removed which creates higher pH readings. However, this isn’t always necessary as surface movements from cleaning equipment is often enough to remove most of the excess CO2 from your water. You can reduce the pH of your water by regularly replacing one quarter of your tank water. This removes readily infected water and will allow you to de-concentrate the rest of the water in your tank, making it easier for your filter to purge. By testing any fresh tap water that you are considering putting into your tank, you will be able to see if there are any issues that need treating before you insert it into your existing aquarium. Tap water pH varies throughout the world because different chemicals are used to filter it, so it is always handy to make sure that what you are putting into your tank is a good pH for your fish before mixing it with the rest of your pretreated water. Tannic acids can cause a world of problems for the living organisms in your tank. They can come from tank decorations or even equipment, so it is always beneficial to regularly boil these items to ensure any bad bacteria is eradicated. Having a reverse osmosis filter in your tank can help you to reduce your aquarium pH levels. This is an effective method of water purification that removes contaminants. These filters distil the water and purify it to restore balance and get rid of unwater additions to our water leaving the fish living within it happy. Putting peat moss into a mesh bag then adding it to your filter can gradually reduce the pH levels of your aquarium waters. Warning: This may also discolor your tank water; however, this should only be a temporary side effect. 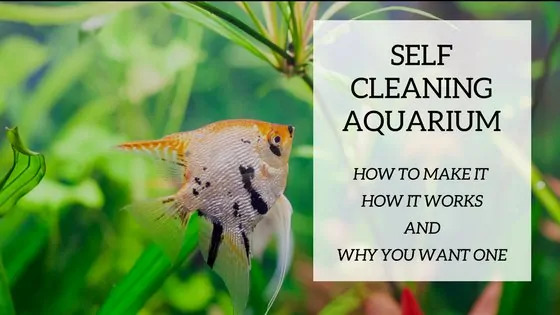 In order to avoid problems with your aquarium, you need to do your research and set everything up before you even think about purchasing any fish. The wrong conditions will only result in your tank not being as successful as you would like. This can become expensive to rectify, so it pays to get it right first time! First of all, you need to decide on what sort of fish you would like. You then need to assess the needs of these fish and collect together everything that you require to make them as happy as they can be. Next, set all of your equipment up and create a care routine for your tank, doing water testing regularly to ensure conditions remain excellent. Once you are able to maintain your empty fish tank at the right pH level, you can start welcoming your pets to their new home. 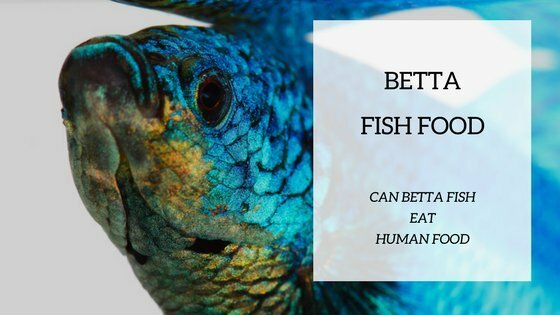 If this is done properly, then your fish will live for longer, your tank will remain cleaner and you will be less likely to encounter problems such as contaminated water and the spread of disease amongst your tanks residents. We hope that all of our advice helps you to set up the perfect under water eco system for your fish and makes maintenance of your tank easier. Please get in touch and leave us a comment if you would like any further advice regarding fish care or tank upkeep and we will be happy to answer your questions.